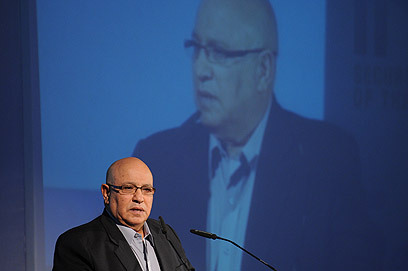 Former Mossad Chief Meir Dagan said Wednesday that a strike on Iran could hasten the Islamic Republic's development of an atom bomb. Dagan posited that military action would align the Iranian population behind the regime, thus solving the country's political and financial problems. Moreover, he asserted that in the case of an Israeli strike, Iran could declare before the world that it was attacked even while adhering to agreements made with the International Atomic Energy Agency – by a country that reportedly possess "strategic capabilities." The former chief of the secret service postulated that economic sanctions are more effective than military action. "The military option must be given serious consideration. The fact that it is being waved around as means of deterrence does not deter the Iranians, but could provide the answer to their nuclear aspirations," he said. "The ability to stop the Iranian nuclear program in a military strike, at this point, is very limited." Officials speaking at the conference hinted that the option of an attack on the Islamic Republic's nuclear facilities is not only on the table, but is more viable than ever. Former Military Intelligence Chief Amos Yadlin said that the a nuclear Iran is more dangerous than the consequences of a strike, but suggested that Israel won't be the one to lead military efforts against the country. US Ambassador to Israel Daniel Shapiro said that Tehran must take concrete steps to dissipate the international community's concern over its atom program. He added that the window of opportunity for talks is closing, and that the US will bolster pressure on Iran until it achieves its goal of barring it from obtaining nuclear weapons. 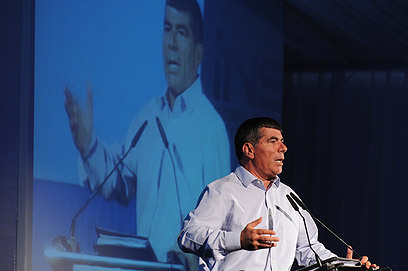 Gabi Ashkenazi, the IDF's former chief of staff, said that there is still time for diplomacy and economic sanctions, but added that the use of military force in Iran should remain a possibility. Uzi Arad, a former national security adviser to Prime Minister Benjamin Netanyahu, said during the conference that while the US is capable of attacking the Islamic Republic, "the challenge isn't to strike Iran but to prevent it from becoming nuclear in the long run." He called on the US to project determination to use "other means" if its objectives are not reached through talks, noting that the American government is aware that the consequences of "inaction in the moment of truth" would destabilize the Middle East and compromise American interests in Asia. Earlier in the conference, Defense Minister Ehud Barak said that Israel's government "will make decisions on issues vital to the Jewish people's future and security by itself." He remarked that the US and Israel differ in attitudes towards the Iranian issue and "the ticking of the clocks." Nevertheless, he stressed that the US is aware that Israel will decide independently whether to mount a military operation against Iran's nuclear facilities. See all talkbacks "Dagan: Strike on Iran could hasten bomb"